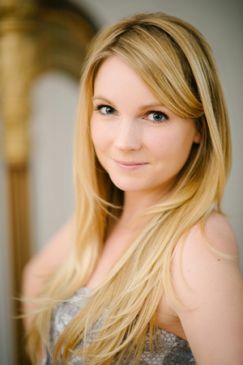 This Houston Harpist is a freelance harpist with nearly 10 years of professional experience playing for wedding ceremonies, receptions, parties, and corporate events. She has played at many of the finest venues throughout the greater Houston area, including The Houstonian, The Houston Country Club, The Petroleum Club, The Inn at Dos Brisas, The San Luis Resort, and Hotel Galvez to name a few. Some of her notable clients include Shell Oil, Memorial Hermann Hospital, and Sunny & Mac Haik. This Houston Harpist is currently the contract harpist at a hotel, where she has provided elegant music for the past eight years. Her exquisite playing was most recently featured on national television. 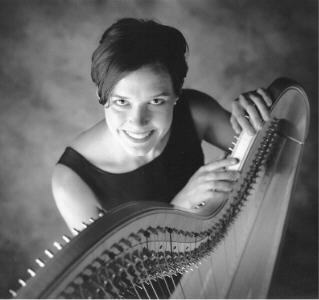 She began her harp studies at the early age of seven and continued her formal training at Baylor University, where she earned a Bachelor of Music performance degree with honors. Altogether, from student to professional, she has been playing the harp for more than 20 years. This Houston Harpist resides in the Houston Heights with her husband Morgan. In addition to her harp performance schedule, she maintains a teaching studio and an active career as a classically trained soprano.